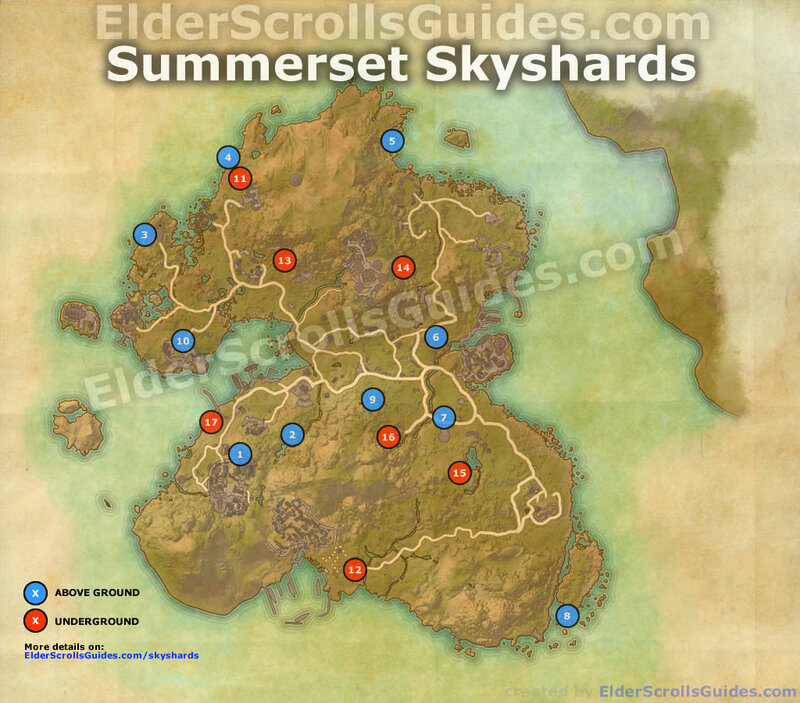 Map below contains the locations of all skyshards in Summerset zone. 1 28.40×56.90 Overlooking the Oleander Coast Winery Just outside the gates of Alinor city. 3 17.79×29.49 On a tiny peninsula beneath the Cathedral of Webs Just west of Cathedral of Webs point of interest. 4 29.41×19.61 Along the beach north of Karnwasten Slightly north from Karnwasten public dungeon. 5 49.23×17.27 At a camp across a narrow plank walkway North of Gryphon Run boss. 6 54.23×42.16 In the mouth of the falls overlooking Shimmerene Northwest of Shimmerene town. 8 70.35x77x18 Along the sun’s path toward dusk Just east of Dusk Keep point of interest. 9 46.96×49.76 South of Russafeld, where the mossy archer’s aim flies true Southeast of Russafeld Heights wayshrine. 10 23.24×42.10 Under Sea Keep’s towering fortifications In Sea Keep. 11 29.74×21.18 Among the shanties in Karnwasten’s cove Central part of Karnwasten public dungeon. 12 45.14×70.82 High above the heart of Sunhold Sunhold public dungeon, between two “circles” on the map. 13 35.63×32.52 Stuffed in a barrel by goblins in King Haven’s Pass King’s Haven Pass delve, northwest in underground part. 14 55.34×52.67 Overlooking a sun kissed path in Eton Nir Grotto Eton Nir Grotto delve, middle room in western part. 15 49.52×54.52 At the mouth of the falls in Archon’s Grove Archon’s Grove delve, in water far south. 16 26.55x52x18 In the caverns of Tor-Hame-Khard Tor-Hame-Khard delve, larger room in southern part. 17 26.53×52.11 Near an angler’s favorite fishing spot in Wasten Coraldale Shore near the small island in Wasten Coraldale delve. 18 39.75×44.75 Looming over the center of the Traitor’s Vault Traitor’s Vault in Artaeum, in a separate zone. 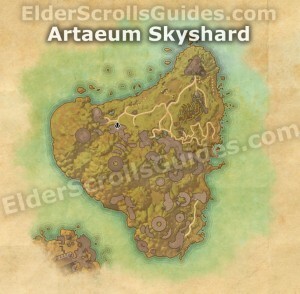 Map with indicated locations along with our table above should help you easily locate all 17 Summerset Isle skyshards. Last 18th skyshard is in a separate zone not displayed on Summerset map. 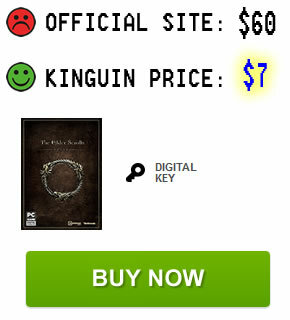 Artaeum is opened in Keep of the Eleven Forces during The Queen’s Decree quest. Are any locations or coordinates of Summerset skyshards incorrect? Be sure to let us know in the comments!